The Friends of Wyalusing are sponsoring a picnic in the park on July 11, 2009. 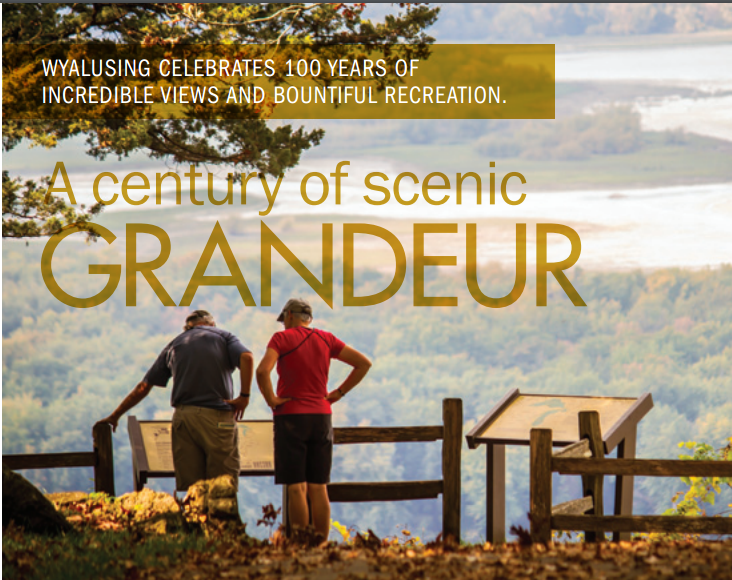 The Friends of Wyalusing is sponsoring a Day in the Park on July 11, 2009. Have fun with a guided canoe hike along the water trail. Meet and greet friends at the Picnic lunch. Take part in Games and art projects planned for the whole family. The day begins with a guided canoe hike. Canoe experience is not necessary. Bruce Klang, a retire park ranger, will lead canoers through the water trail of Wyalusing State Park. The hike begins at the boat landing of Wyalusing State Park. Canoe through the calm waters of Glenn Lake learning about the history of the area. Aquatic life will be identifed as the hike continues to Woodyard Slough. Stopping at Woodyard Slough, participants will gaze out into the Mississippi River. At this point, the participants will decide whether to canoe down the Mississippi River. The canoe hike starts at 9:00 AM and will take between two and three hours. Bring your own equipment or rent canoes, life jackets and paddles from the Concession Stand at Wisconsin Ridge Campground. Bug Spray and sunscreen is recommended. Following the canoe hike, at Noon is a Pot Luck Picnic. 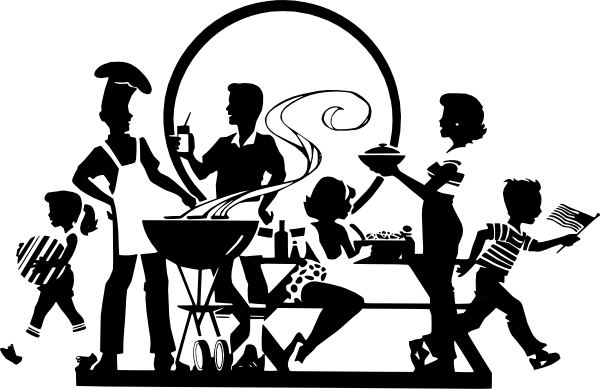 Burgers, brats, and buns will be provided by the Firends of Wyalusing. Bring a dish to pass. The Picnic will be held at Point Lookout shelter (Not the large Peterson Shelter!). Yard games and art projects will follow the picnic. Come and share the day with family and friends. "It's spectacular! It's the newest, and perhaps the best, trail in the park! WOW!" These are just a few comments from hikers who have been on parts of the new Sugar maple Nature Trail. Sugar Maple Nature Trail (Photo Album). Through out the last six weeks, the DNR Trail Crew has been working to complete the East and North loop of the Sugar Maple Nature Trail (Click here for first blog report.) The four person crew is funded by a special grant. The last stage of the trail, from the top of Picture Rock Cave has been the most challenging of the new segment. 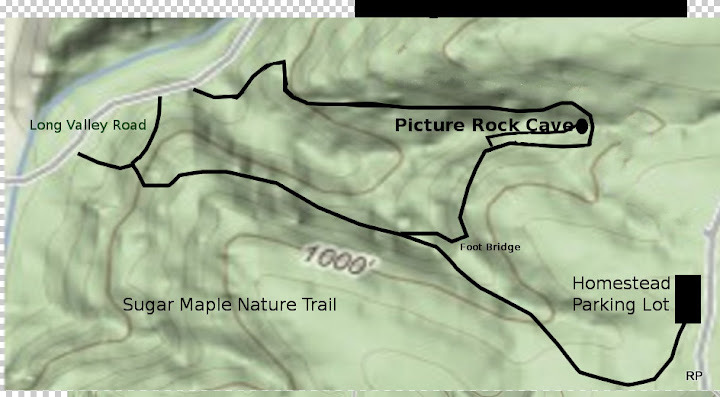 Literally, between a rock and hard place, the trail is bounded on one side by the ledge's edge of Picture Rock Cave and the other side, by the bluff. If that hasn't been enough, there are several springs coming from the bluff. The last week has been spent laying a stone 'floor' for the Picture Rock segment of the trail. The stone came from a quarry in the park,carried to the site, and fitted together by hand. All of this effort takes place with the safety of the hiker foremost in the planning and execution of the trail. Have you been on the new Sugar Maple Nature Trail? Leave a comment.